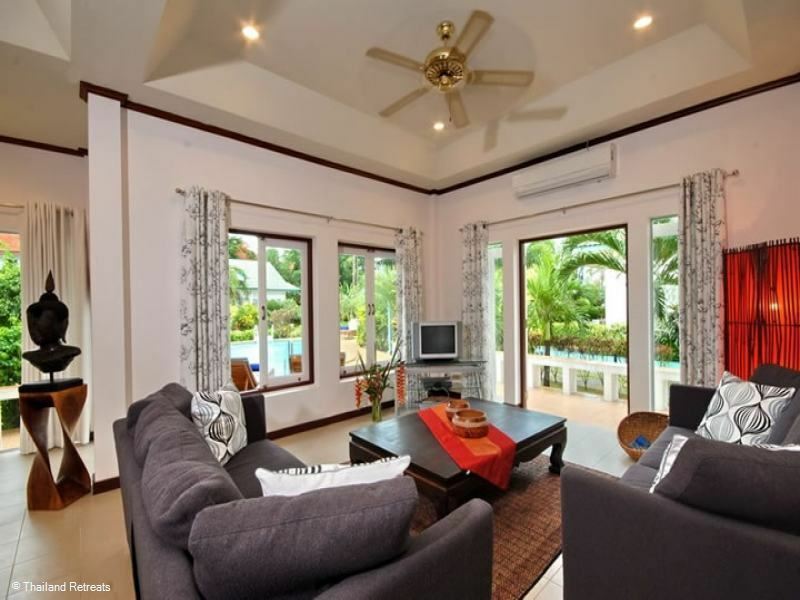 Baan Orchid is a charming Koh Samui resort villa with private pool set with in a secure beachside development on the tranquil south coast. Communal amenities include a beachfront beach club, restaurant, gym tennis, yoga and beach games. Baan Orchid is a charming two-bedroom villa set in a beautiful tropical garden with its own private swimming pool. 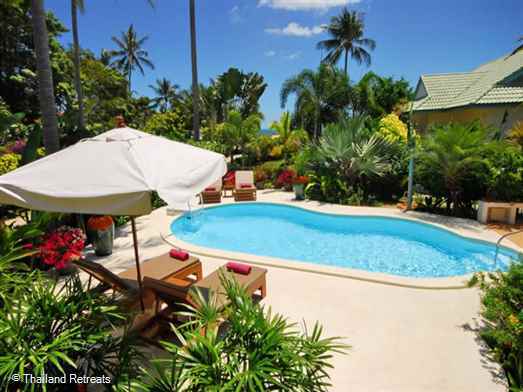 It is just a few metres away from one of the best and most secluded beaches in Koh Samui. In front of the villa is your private pool with a large sundeck set out with loungers and umbrellas ready for you to enjoy the tropical sunshine that abounds in Samui. 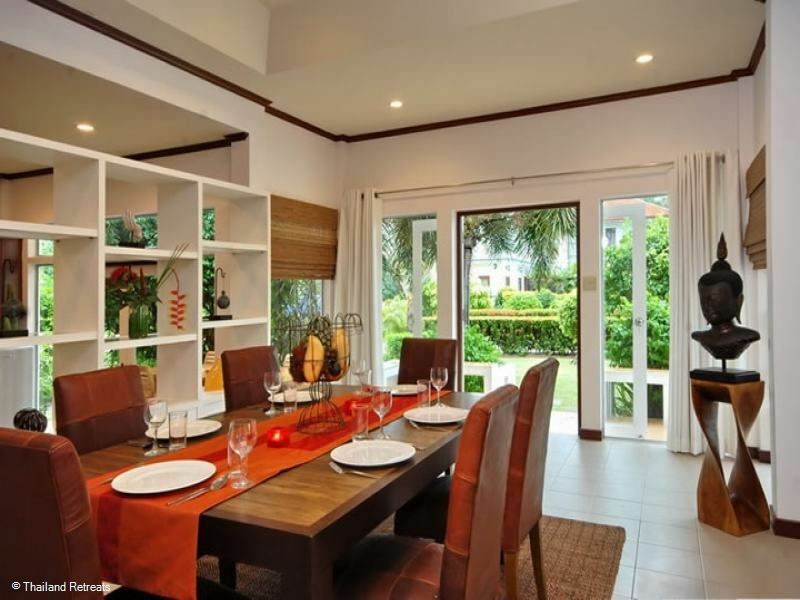 To complete the picture you have your own private outdoor dining area close to the villa. The entrance leads you directly into the lounge, complete with comfortable seating and a home entertainment system including satellite TV and DVD/CD systems. The villa also has wireless internet available for those who still need to keep in touch with the outside world while enjoying this piece of tropical paradise. 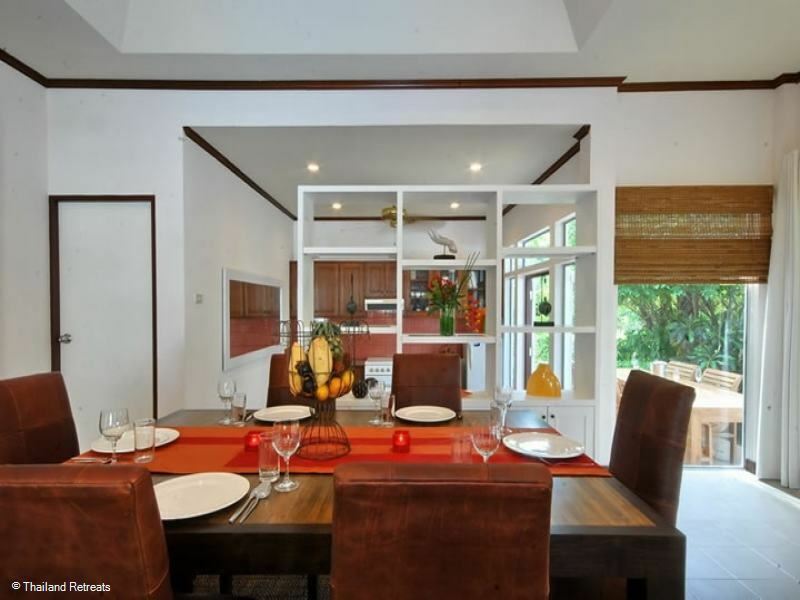 The dining room is conveniently placed between the lounge and kitchen areas. The kitchen is fully equipped with all modern conveniences for food preparation. We also have a gourmet Chef available for an additional charge if you would like to enjoy a five-star dining experience in your own villa. We pride ourselves on the standard of comfort we provide throughout the villa, from air conditioning and fans found in all rooms through to the quality of service assured by our villa manageress and staff. The master bedroom has a queen-size bed, bedside cabinets and built-in wardrobes, including a guest safe. 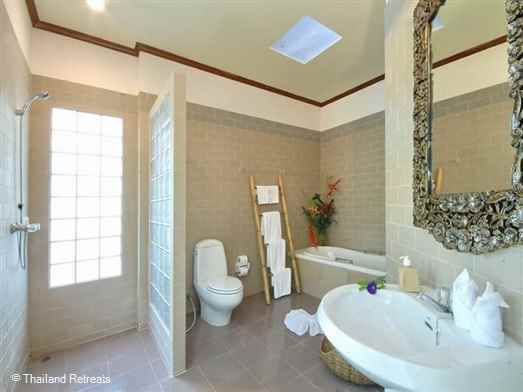 There is also a large en-suite bathroom with jacuzzi bath, separate shower unit and sink/toilet. The second bedroom is just as roomy, with another king-size bed, bedside cabinets and built-in wardrobes. Its separate bathroom is equipped with a shower unit and sink/toilet facility. 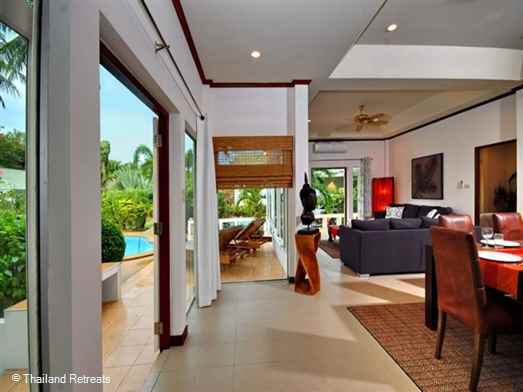 The living area, which extends across the front of the villa, has open views over the garden and swimming pool. The large patio doors lead out to the sundeck furnished with quality teak patio tables, chairs and sun loungers. Adjoining this is your private swimming pool where you can relax and enjoy a refreshing dip to cool down from the hot tropical sunshine. Baan Orchid, just a few metres away from the idyllic white sand beaches that stretch along the coastline in both directions, offers one of the most accessible beach villa holidays on the island at a very affordable price.